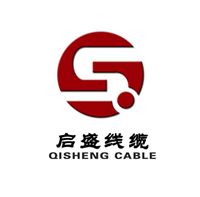 Product categories of Special Cable, we are specialized manufacturers from China, Special Cable, High Current Cables suppliers/factory, wholesale high-quality products of High Voltage Cable R & D and manufacturing, we have the perfect after-sales service and technical support. Look forward to your cooperation! Special cables are special-purpose cables that can be used on specific occasions, such as high-temperature resistant, acid and alkali resistant, termite resistant, and wire and cable used in ships, ships, nuclear power stations and other occasions. In terms of classification, it does not belong to the same classification method as power, control, computer cables, etc., that is, the cables listed above also include special cables. General special cables need to set internal control standards. Special cables are special-purpose cables that can be used in specific applications, such as high-temperature resistance, acid and alkali resistance, termite resistance, and wire and cable used in ships, ships, and nuclear power stations. In terms of classification, it does not belong to the same classification method as power, control, computer cables, etc., that is, the cables listed above also include special cables. General special cables need to set internal control standards. Special cables are a series of products with unique properties and special structures. Compared to ordinary wires and cables with a wide range of products, they have higher technical content, stricter conditions of use, smaller batches and higher added value. New materials, new structures, new processes and new design calculations are often used. Aerospace, locomotive and rolling stock, energy, iron and steel, non-ferrous metal smelting, oil extraction, electrical machinery, construction and other fields require high-temperature wire and cable. Long-term continuous working temperature 125, 135, 150, 180, 200, 250 and 250 degree heat resistant wire and cable, commonly used irradiation cross-linked polyolefin, silicone rubber, fluorine resin, polyimide Amine, mica, magnesium oxide and other wire and cable. Now introduced; two new high-temperature wire and cable. Has excellent heat resistance, physical and mechanical properties, electrical insulation properties, extrusion molding, especially in the environment can be used at high temperatures and rapid temperature changes in the environment can still maintain stable performance and other outstanding advantages: heat distortion temperature in 200 -220 degrees, continuous use temperature is 180-200 degrees, UL temperature index is 180 degrees; resistant to 150-160 degrees of hot water or steam, free from acid and alkali erosion at high temperature; elastic modulus is -100-- 200 degrees is almost constant, especially at 100 degrees or more than any thermoplastic resin; linear expansion coefficient is small, and its temperature dependence is also small; has no toxicity, is approved by the US FDA, and also complies with the Japanese Ministry of Health and Welfare No. 434 and The requirements of Announcement No. 178; self-extinguishing, without adding any flame retardant, has excellent flame retardancy, up to UL94V-0 (0.46mm). Polyetheretherketone is a superheat-resistant thermoplastic resin. The long-term continuous use temperature is 250 degrees and the UL temperature index is 250 degrees. PEEK is a flexible resin with good creep resistance. And self-extinguishing, without any flame retardant up to UL94V-1 grade (thickness of 0.3mm), 94V-0 (thickness of 1.5mm), 94V-5 (thickness of 3.2mm) requirements. There is a difference between strong and weak electricity. Here we introduce a low-intensity cable for strong electricity. This cable is equipped with a heat dissipation device for a variety of new types of water-cooled low-inductance cables that are connected between contact welders, arc welders and pneumatic welding pliers. It has a simple and reasonable structure, large cooling water flow, no blockage. Blocking and current limiting phenomena, good heat dissipation, long service life, etc. This new type of low-inductance cable also includes connectors fixed on the ends of the cables and cables, and the cable is also composed of a positive core cable and a negative electrode core in the outer rubber tube. Since such low-inductance cables are generally used in applications where the voltage is 25-50V and the current is between 70001 to 12000A, the short-circuit conduction of cooling water in the cable is basically negligible, so there is no such low-inductance cable. The use of a rubber hose that separates the positive and negative cores, except that a core frame with a spoke-like cross-section (commonly known as a "plum") is provided, and the "round center" and adjacent "spokes" The resulting space forms a longitudinal groove in the direction along the axis, and the longitudinal grooves on the core frame are the same as the total number of the positive electrode cores arranged on the cable. The cable portion is the positive and negative cores, respectively. The longitudinal groove device of the core holder is formed in the outer rubber tube. The two ends of the positive electrode core and the negative electrode core are respectively bundled and clamped into the cable clips and then fixed on the connector. The end of the outer hose of the cable is set on the tail end of the connector and used. Tighten the seal tightly outside the outer hose. In the bending, vibration, impact, temperature changes and other external factors, the cable itself is less than 5mV pulse signal cable is called low noise cable, also known as anti-vibration instrument cable. Used for the measurement of tiny signals in many fields such as industry, medicine, and defense. There are various types of cables such as polyethylene insulated low noise cable, F46 insulated low noise cable, radiation resistant low noise cable, low capacitance low noise cable, hydrophone cable, watertight low noise cable and so on. The causes of noise in the cable are: 1) internal molecular friction in the medium; 2) change in cable capacitance; 3) piezoelectric effect in the cable medium; 4) friction in conductors and dielectrics in the cable, ie when between the conductor and the insulation The separation of charge occurs when the contact is broken. A layer of thin, semi-conducting (0.20-0.30mm thick) low-noise cables has been rapidly developed on polyethylene insulation surfaces. The noise level is 2-3mV. For low noise cables working at 400 degrees, it can be used. High-temperature semi-conductive fiber wrapped around the package to solve the noise up to 5mV. 135 degree self-control temperature cable composed of polyvinylidene fluoride (PVDF) / fluororubber alloy / carbon black multiple compound. The thermal process is different, showing different degrees of PTC conductive properties and electrical conductivity stability, this is due to the degree of crystallinity and crystal morphology of the substrate is affected by different cooling speed insulation. 1) Light and delicate, bright colors, strong three-dimensional and perspective, suitable for night visual inspection. 2) Energy saving, environmental protection and safety; The product has low power consumption and a wide range of applicable voltages. The use and disposal of this product will not produce any environmental pollution, and will not pose a danger to humans. 3) Flexible, foldable and bent, free to knot, splicing, splicing, without affecting the luminous performance, easy to use, and installation without professional guidance. 4) It is a continuous light emitting device, and it can simultaneously control the dynamic multi-color flashing according to the telephone control and match. 5) Scotch tape, glue, pins, thread nails, etc. can be directly attached to the surface of the decorative object. 1) Indoor advertising, text design; showcases, doors, furniture, walls, roofs, etc. 2) Cars, boats and other tools decoration; instrument instructions, digital display. 3) Safety signs and instructions; stairways, passageways, house signs, exits, temporary outdoor dangerous sites. 4) Toys, arts and crafts, sporting goods, clothing, electrical appliances, decoration, and military equipment. Cables that pass UL's highest flame rating standards are CMP cables. A large number of combustible tests on wires and cables made by Du Bang, Langxun, and BICC jointly showed that a thin layer of FEP (F46) sheathing was extruded on the outside of ordinary cables to satisfy this requirement. In general, low-smoke, halogen-free substrates are polyolefins, which have high fuel heat and are highly flammable, so they are mixed with metal hydrate fillers to inhibit their flammability, but hydration water After exhaustion, it will cause fierce combustion. The heat of combustion of FEP is very small and it does not burn in the event of fire.